Having a garage is a luxury that not all people have. If you have a garage, but if it’s become a place of stacked boxes and old furniture you don’t want, you’re not making the most out of your garage space. Here at Garage Door Doctor, we’ve found that one of the main reasons people let old belongings gather in their garage is due to a broken garage door that they’ve never had repaired. 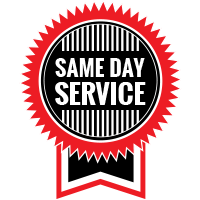 If you’re in the same boat as many other households, don’t wait any longer to call us now to schedule your garage door repairs in Indianapolis and the surrounding areas. If you live in Avon, Brownsburg, McCordsville, and even Zionsville, you’re still within our service areas. Once you have your garage door repaired, you can implement our following tips for how to make the most out of the space in your garage. The most common items found in garages are usually tools and lawn care essentials. Instead of just leaning the majority of these items against the walls in your garage, make the most out of your space by adding wall hooks. Your weed whacker, ladder, rake, extension cord, and shovel are all things that can be hung from the wall instead of taking up valuable floor space. If you don’t have a tool box and your hammer, screwdriver, and level are all thrown into a box that’s also kept on the ground, invest in a toolbox or shelves and totes that you can organize. If you don’t have a crawlspace or basement, the garage may be the perfect place to keep seasonal clothes and decorations. These are items that are prone to be thrown into boxes and stacked on each other in the garage, which usually makes it impossible to find what you need. In order to, at the very least, get these boxes off of the floor, installing shelves along the walls of your garage is the best way to organize the boxes. Add labels to each box so you will know what’s in any given box. If you’re constantly finding that your refrigerator and pantry are overflowing with food and drinks, it may be time to add additional storage for these items in your garage. 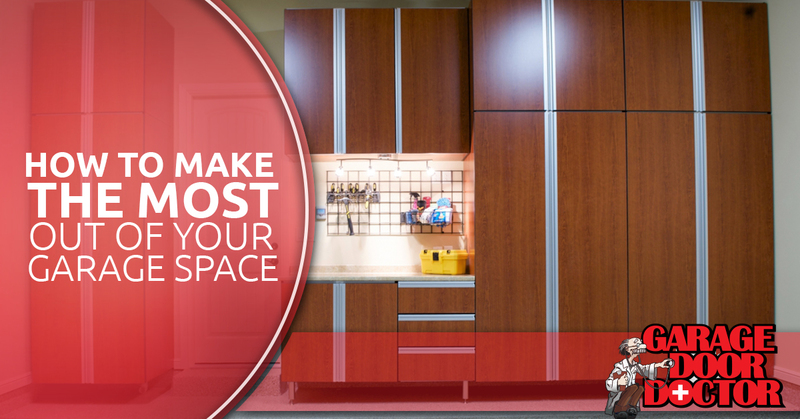 Once you start organizing your garage and making more room, it probably won’t be hard to find the space for an extra refrigerator and shelves for food storage. Keeping beverages in the refrigerator along with meats in the freezer is the best way to free up space in your kitchen refrigerator. You can also keep all of your non-perishable items such as canned goods and box meals in the garage. We know that you probably have a variety of miscellaneous items that need a home, and they may currently be stacked in your closet or the laundry room. In addition to the other shelves and storage bins you have in your garage, consider installing separate shelves to keep miscellaneous items such as luggage, sports equipment, and other household items. You can even add more wall hooks to keep things like your broom, dust pan, and ironing board in the garage. When you make the most of your garage space, you’ll not only have a clean, organized garage, but you’ll also free up space in the rest of your home. 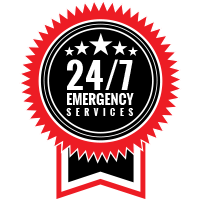 If you’re not using your garage due to a broken garage door, call Garage Door Doctor now to schedule your garage door repairs in Indianapolis.